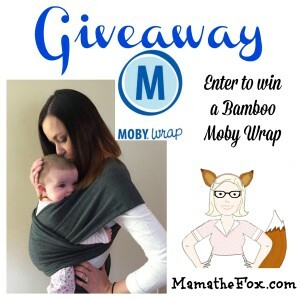 Moby is a leader in the baby wearing community. With their soft and easy to use wraps they are many parents first experience with baby wearing. While the length of the wrap can be intimidating when first looked at, its really not that complicated. Check out the very easy tutorials on YouTube and you will be confident in a flash. To read more about the benefits of baby wearing (according to an occupational therapist) click here. 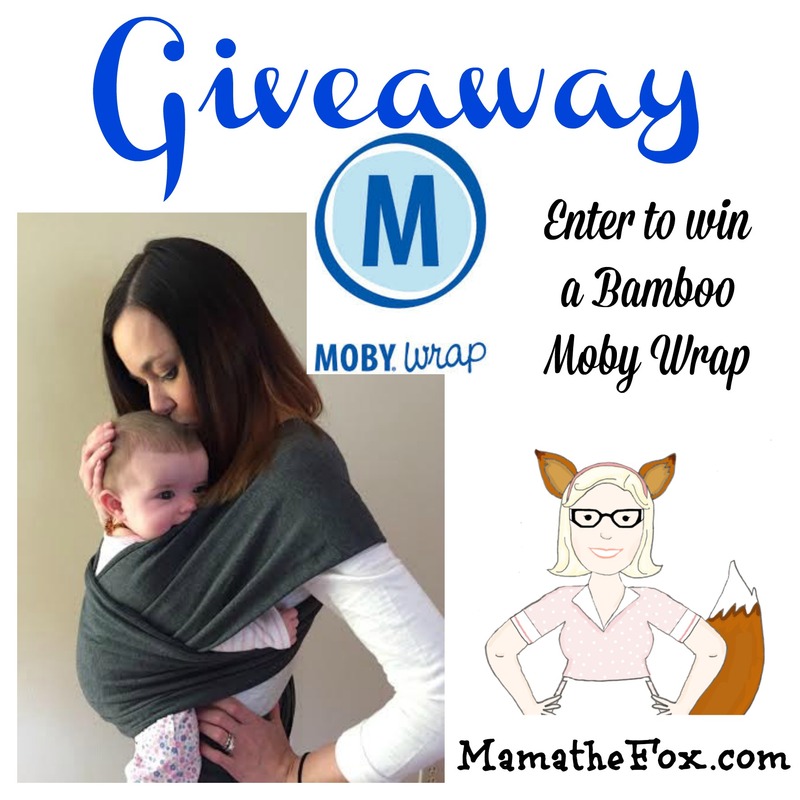 If you have not tried to baby wear yet and are intimated by trying alone MamatheFox would suggest reaching out to your local BWI (Baby Wearing International) group. Most major (and some smaller) cities have a group of baby wearing pros who meet up on a weekly or monthly basis. You can go and talk to real baby wearing parents and they can teach you in person how to properly wear your child. You can typically borrow carriers too before you buy, making the process fun and easy. MamatheFox and all participating bloggers are not held responsible for sponsors who fail to fulfill their prize obligations. Previous post: Curious George Swinging into Hulu Giveaway!